The sea, the grasses, the cloudy sky and the lighthouse – all different textures to make up my Tuesday of Texture! This old indigo window in a lighthouse looks out on a calm indigo sea at the Old Head, Kinsale. 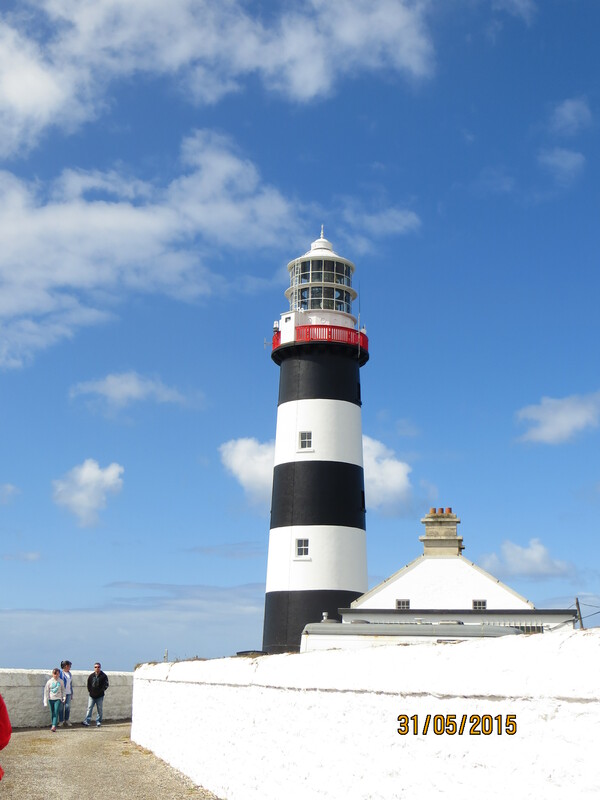 Yesterday we were very fortunate to be able to visit The Old Head of Kinsale Lighthouse, fortunate because as this is a fully operational lighthouse, it is only open to the public one weekend a year, to raise funds for the restoration of the nearby Old Head Signal Tower and Lusitania Memorial Garden. 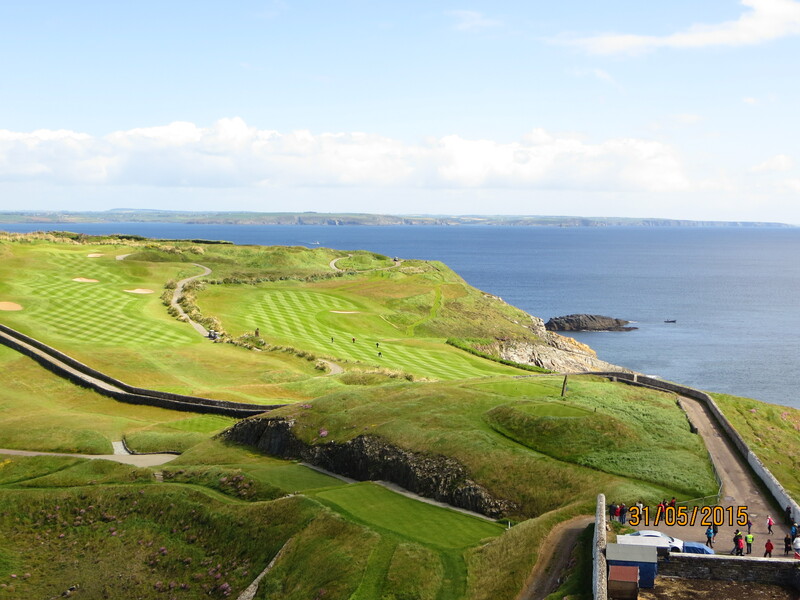 The road leading to the lighthouse is part of the Old Head of Kinsale Golf Links, a private golf club, and is usually not open to the public, for obvious reasons like dangerous cliffs and flying golfballs! This course is built almost on an island, jutting out over two miles into the Atlantic Ocean, with the lighthouse at the end. 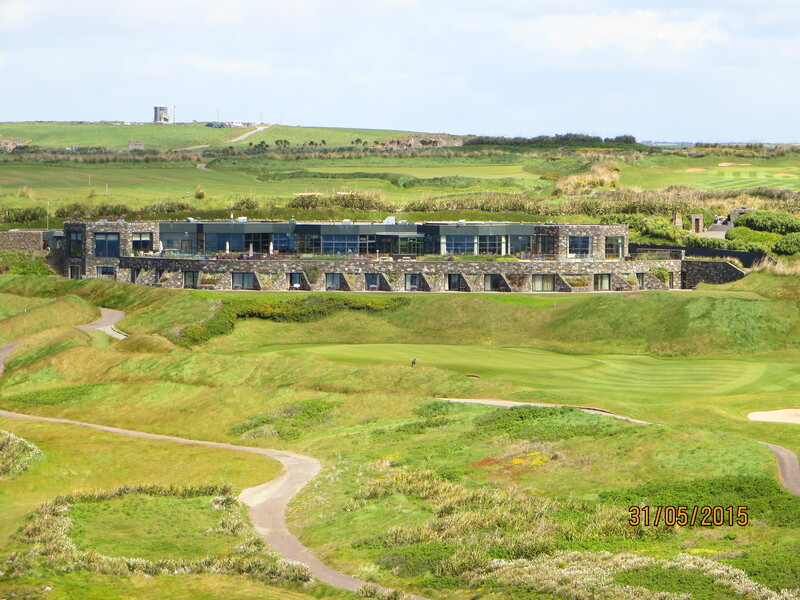 With the swirling winds and sheer cliffs at each side, you would have to be a very experienced golfer to play here! Have a look at the link above to see the ‘interesting’ cliff top greens. Golf, but not for beginners! 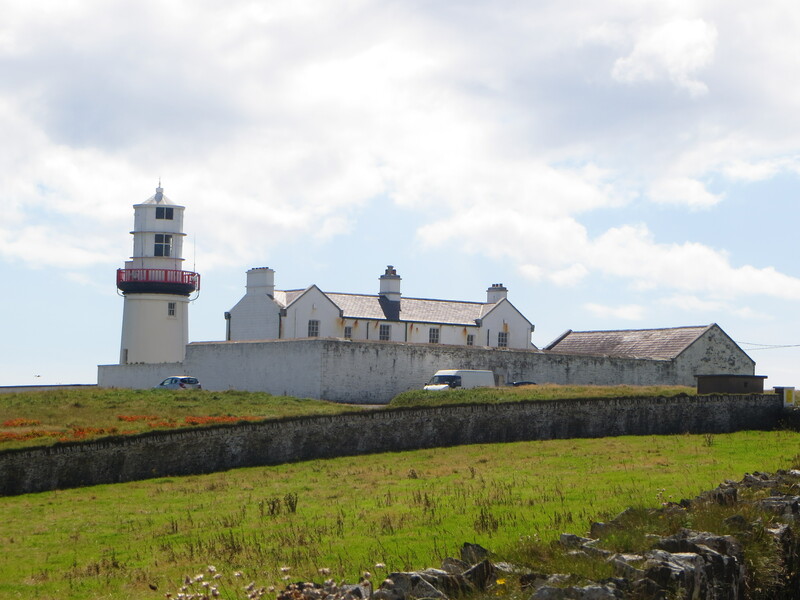 There has been a lighthouse at the Old Head since 1665. The first was a cottage type building with an open coal fire in a brazier on the roof, which was replaced in 1804 by a lantern with twelve oil lamps and reflectors. 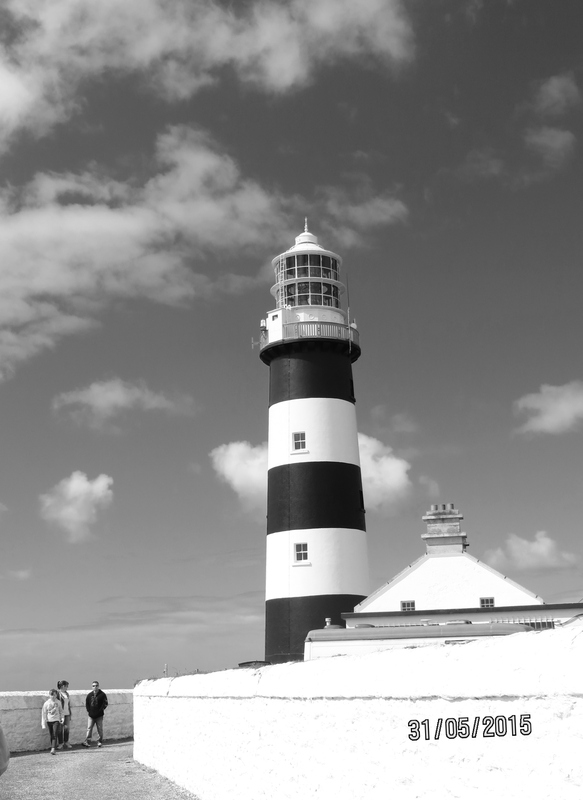 Eventually in 1853 the present lighthouse was built, and is fully automated, so there are no lighthouse keepers any more, but that is the case almost everywhere, and such is the price of progress. 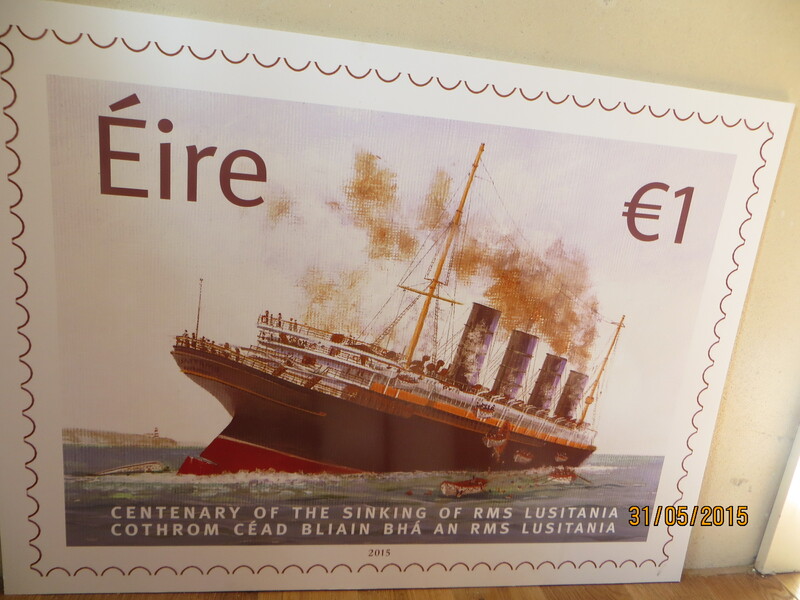 It was just off this coast in 1915 that a German U boat torpedoed and sank the RMS Lusitania, with the loss of over 1100 passengers, and the wreckage still lies under the waves close by. Today was a nice day for a stroll, and what a great place to be, in Ballycotton in East Cork, looking out at the lighthouse and a very calm sea.